Patriot Memory’s Viper 3 Series memory kits are designed with true performance in mind. 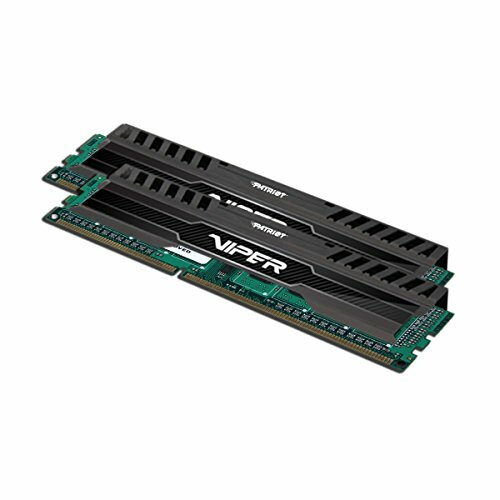 Tested and compatible with Intel’s DDR3 compatible processors and chipsets, The Viper 3 series provides the best performance and stability for the most demanding computer environments. The Viper 3 series utilizes a custom designed high performance heat shield for superior heat dissipation to ensure rock solid performance even when using the most taxing applications. Built from the highest quality Build of Materials, Patriot Memory’s Viper 3 Series memory kits are hand tested and validated for system compatibility. Available in dual and quad channel kits, 8GB, 16GB and 32GB Kits, Patriot Memory’s Viper 3 Series will be offered at speeds from 1600MHz up to 2133MHz at 1.5 Volts and are XMP 1.3 ready. Hand tested for quality assurance, the Viper 3 series is backed by a lifetime warranty.